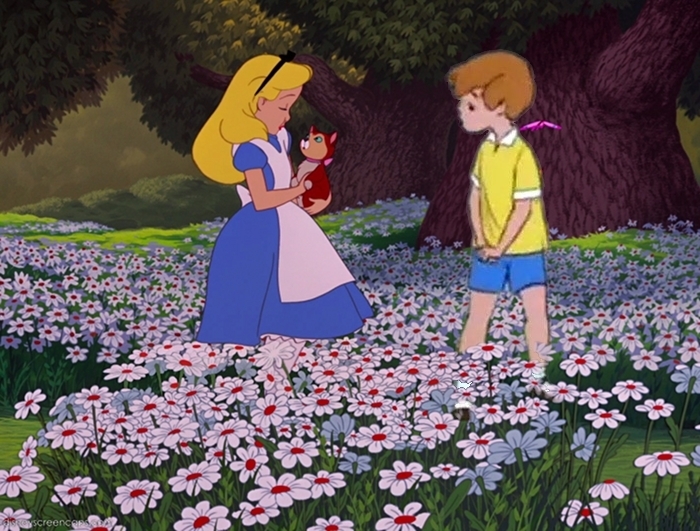 Alice and ChristopherRobin. . Wallpaper and background images in the डिज़्नी क्रॉसोवर club tagged: disney crossover alice christopherrobin. This डिज़्नी क्रॉसोवर photo might contain flowerbed, फूल बिस्तर, फूलों का बिस्तर, फूलदान, एक प्रकार का रसदार पौधा, स्प्रिंग, spurge, गुलदस्ता, कंचुकी, कहावत, फूलों का गुच्छ, चोली, पॉसी, नाकगेय, ब्रोच, and nosegay.